Dr. Poole and Dr. Gannon have the most advanced and comprehensive training available for foot and ankle treatment today. They combine the expertise required for treating any ailment with regard for making each patient feel cared-for and comfortable. Dr. Gannon was born in Murfreesboro, Tennessee, and now lives in Williamson County with her two daughters. She studied at Auburn University, where she earned a Bachelor of Science in Biomedical Sciences, and was a competitive member of Auburn’s Track and Cross Country teams. She attained All Southeastern Conference (SEC) Scholar Athlete honors while achieving varsity letter awards in Track and Cross Country all four years of eligibility. Her experience as a Division I runner led Dr. Gannon to pursue the pathology of the foot and ankle and guided her to the Ohio College of Podiatric Medicine in Cleveland, Ohio. After becoming a Doctor of Podiatric Medicine, she attained chief resident status at Southeast General Hospital – a partner of the University Hospitals of Cleveland, Ohio – where she amassed over 1,200 surgical procedures specific to the lower extremity. She received surgical instruction and training from podiatric, orthopedic, vascular, general, and plastic surgeons with special emphasis on lower extremity trauma, limb salvage, and Ilizarov reconstruction techniques of the lower extremity. “From childhood to my years as a student-athlete at Auburn University to my journey through medical school, I put a lot of pressure on myself. But, at the crux of my drive was an innate desire to help people,” says Dr. Gannon. Dr. Gannon is Board Certified by the Board of Podiatric Surgery and a Fellow of the American College of Foot and Ankle Surgery. In 2013, Dr. Gannon came to a personal and professional crossroads, during which she founded her critically acclaimed, award-winning brand, AILA Cosmetics. “AILA Cosmetics began during a challenging time in my life. I was managing my medical practice, carrying a full patient load, juggling motherhood, struggling to care for a child with SPD, and trying to remedy my own health issues. You might say that I had a mid-life crisis but I prefer the term “awakening.” I started eliminating unhealthy things in my life. Board certified in Foot surgery Board Certified in Rearfoot, Reconstructive and Ankle surgery by the American Board of Podiatric Surgery. A native of Pittsburgh, Pennsylvania, Dr. Poole earned a Bachelor of Science degree from the University of Pittsburgh in Biological Sciences. 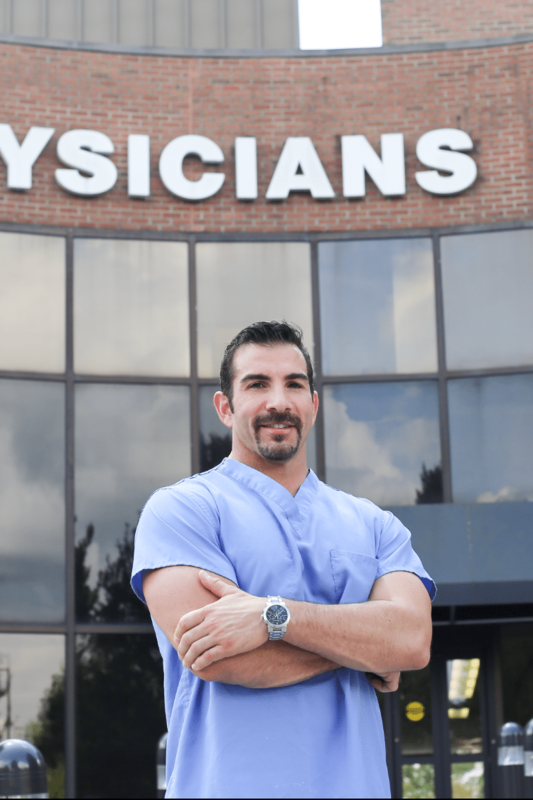 He matriculated to the Ohio College of Podiatric Medicine in Cleveland, Ohio, where he graduated in the top 10% of his class, earning his Doctor of Podiatric Medicine. Dr. Poole then returned to Pittsburgh to complete a three-year surgical residency at the University of Pittsburgh Medical Center. There, Dr. Poole trained with world-renowned specialists in orthopedics, vascular surgery, and medicine. Dr. Poole also served as chief resident, overseeing and providing insight to eight other foot and ankle surgical residents. His training has special emphasis in diabetic limb salvage, foot and ankle arthroscopic techniques and Ilizarov reconstruction of the lower extremity. Dr. Poole is a fellow of the American College of Foot and Ankle Surgeons.